My idea of a perfect evening in involves some scented candles, nice glass of red wine and a good read. This could be either my weekly favourite Grazia, fashion magazine (I read tons every month including Vogue, Harper’s Bazaar, In style and so on) or a good book. The book that got me excited this week, when I found out about it, is not so much about reading, but I can guarantee you it’s gonna be a feast for the eyes. It’s called BACKSTAGE DIOR and it is published on 15 November. John Galliano is such a master of fashion design and so playful with his clothes and shows, you can only expect a masterpiece. Full of backstage pictures and photographs of catwalk shows for Dior by photographer Roxanne Lowit, I can assure you it’s gonna look very stylish on every coffee table. I can just imagine myself during the long winter evenings, getting lost in the timeless and original beauty. 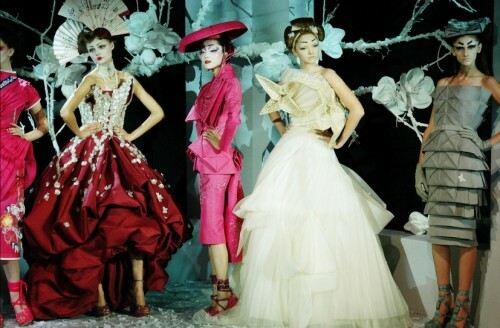 To me John Galliano is so inspiring, I just can’t wait to get my copy! So go on! Get yours as well and have an indulging night in with a book.